Dr Ross, a leader in the field of laser and light therapy, provided the audience with an in-depth overview on lasers and light. Dr Ross begins by reminding us that we tend to look for the “easy” way out to make our patients look their best with the least downtime. 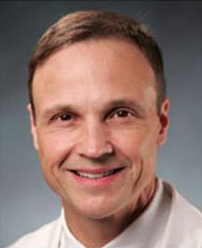 In order to be efficient and effective for his patients, Dr Ross likes to have many lasers in one room; therefore, providing the best possible technology. It is important that we really understand laser physics. You need to know some math, but it doesn’t have to be difficult math. You can take very complex mathematical relationships and break them down into very simple algebraic relationships. By doing so, you can actually apply your lasers and other technologies quite confidently. It’s imperative to understand how they work because if you don’t, you can get into trouble very fast. Remember to look, listen and feel….listen to the reaction, look at the laser, look at the patient at every pulse to be sure the endpoint is what you want to see because ultimately, the endpoint is more important than the physics. When we talk about lasers, we need to know some basic definitions. One of the most important terms is fluence; fluence is simply the light dose, i.e., the amount of energy that we are investing per surface area for a particular application. We used to speak a lot about power, e.g. 7 watts power or 12 watts power. Currently, we don’t talk much about power because most of our lasers today are pulsed lasers. What really matters are wavelength, fluence and pulse duration. Pulse Width is very important, i.e., the time over which energy is delivered. Spot size, which contributes to the intensity inside the skin, is mainly important for visible light lasers and infrared lasers because a larger spot will penetrate better. LASER, Light Amplification by the Stimulated Emission of Radiation, is a concept that Einstein predicted back in the 1920s, but it was not realized until May of 1960. 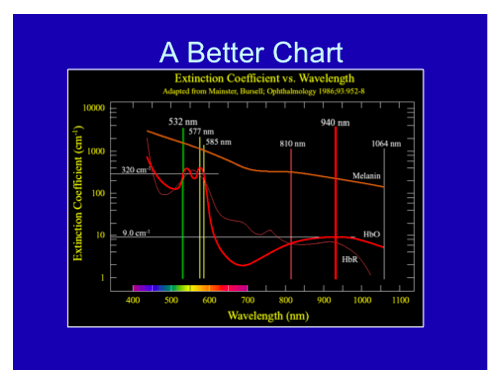 Why is it important to differentiate laser light from non-laser light? Dr Ross explains that it is because of engineering more than anything else. Most of our targets that we treat in dermatology have multiple wavelengths as far as their absorption. Lasers are a convenient way to deliver light, i.e., deliver photons to the target. This is why lasers are so popular. You can put lasers into a fiber, you can have monochromatic light, and you can deliver very high power. It’s the only way to really deliver very short pulses in nanoseconds and picoseconds for certain applications. 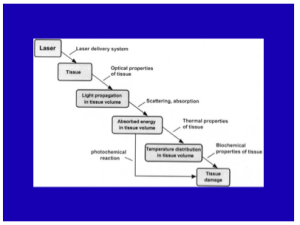 Why do we need to know how/why lasers, etc. work? Dr Ross states that one important reason is that when your laser breaks down, which can happen, you want to understand why it isn’t working. If you have a good understanding of how your laser works, you may be able to correctly diagnose that. If you see that your laser isn’t working right, often times there’s an error code. It’s important that you write down the code and report that to the technician. Sometimes it’s as simple as restarting the system. You should be able to troubleshoot laser problems in a logical way…Device malfunction is one problem, an example is a temperature sensor malfunction. 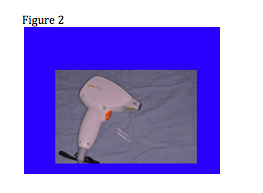 However, a bigger problem could be your lack of familiarity with the device; most laser problems are caused by the operator because they’re not familiar with how the device works—sometimes they are rented and sometimes they are only used once per week. Other factors that contribute to laser problems include poor patient selection, operational errors, poor post-treatment care, and simply bad luck. Dr Ross reminds us that we have to think. Most of the time when we get into trouble with lasers it’s because we weren’t thinking—invest all of your brain power into that particular case while you’re performing the procedure and that means paying particular attention to endpoints. Four years ago right before the Christmas holiday, Dr Ross had a typical case of a woman who came in for treatment of telangiectasias with a pulsed-dye laser. He used the pulsed-dye laser, 10mm spot, 7 J/cm2, and a 10-millisecond pulse and everything was looking fine. The patient developed some mild purpura and she was incredibly upset. So what happened? She didn’t have any blisters and everything else was fine. Dr Ross went back and looked at the beam profile and found that it was off by about 2mm (8mm instead of 10mm). What had then happened was that the fiber was damaged so they were delivering the right energy but in a smaller spot; therefore, causing the fluence to become higher and the purpura threshold had become breached. The technicians then fixed the beam profile and there was no more purpura. Dr Ross reminds us that sometimes we may have to do some detective work to figure out what’s going on. Broken mirrors can also compromise your laser experience. 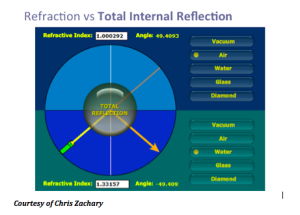 Particularly with the CO2 laser, if your beam profile doesn’t look good it may be due to a broken mirror. When your calibration doesn’t pass, the most common reason is because of a bad lamp. What we’re seeing now is a progressive change in laser technology. Lasers are becoming quieter, cooler, smaller, better and more reliable. We now have small, portable lasers (see figure 1) and maybe, in the near future, we’ll see small lasers that can treat everything from tattoos to resurfacing. Over the next few years, we are also going to see more and more LEDs. We are going to begin to see more safety features that will be incorporated into the software with touchscreens. For example, you may have a patient who came in for treatment of a wart so the technician turns the dynamic cooling device off. Then, your next patient is coming for treatment of a port wine stain and the technician forgets to turn the DCD back on and the patient gets a blister from the very first pulse. What if there was a tool that provided a warning signal indicating that the DCD was off? Actually that feature is already built into one popular pulsed dye laser. What about photon recycling? This is a way to capture some of the photons that were wasted. Whenever we use a laser much of the energy is reflected back off the skin surface. By recycling the energy we have a second chance to use those photons. This preserves energy and puts less stress on the system. We will also see more and more scanning technologies as they are becoming increasingly robust. In the future, we will probably see scanners that will find the target and treat it. Another concept that Dr Ross discusses is the TRASER (Total Reflection Amplication of Spontaneous Emission of Radiation). The traser is not a laser, nor an IPL. This is one device with many wavelengths that is tunable, has high peak power and variable pulse duration. This device is actually less expensive than a laser and you can change the dye very quickly. The traser uses total internal reflection. We know that if we take light beyond a critical angle, the light will come back towards the same direction. 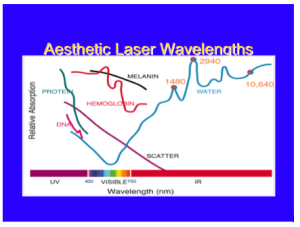 Overall, with lasers in dermatology, you only have to know the chromophore spectra of three targets: blood, melanin, and water. If you know the relative absorption for specific wavelengths for these three targets, you will be a fairly well-armed laser surgeon. When you model a laser-tissue interaction, you want to look (in your mind) at the way that the light propagates through the skin to the target. You have to get the light to the target. Then, depending on the pulse duration and the wavelength you’re going to have a certain amount of temperature increase leading to a response from that target due to the temperature and time combination. What about skin optics? It’s important that you determine the penetration, the absorption and scattering, and the internal dosimetry. There are different types of interactions. The main type that we use in dermatology is thermal, in that we are basically converting light into heat. Other types of interactions include mechanical, chemical, and plasma. Dr Ross feels that one of best ways to learn about laser tissue interaction is through laser hair reduction. The laser comes down, and a certain amount of the light is going to reach the hair bulb, based on the optical properties of the skin. Typically for 1064nm, about 30 percent of the light is going to get about 3mm down which is the typical depth for a hair follicle. Depending on the pulse width, the wavelength, and the fluence, you will have a certain temperature elevation of that hair bulb and some of that heat is going to diffuse to the surrounding skin. So long as the temperature and the time combination is relatively small, you won’t have too much collateral damage—you will only damage the hair follicle. Selective photothermolysis was a formal termed coined by Dr Rox Anderson 32 years ago. What it says is that if you have the right wavelength, the right pulse duration, the right target, and sufficient energy, you will achieve extreme localized heating. This really revolutionized the way in which we treat vascular and pigmented lesions. As a dermatologist, you should always remember the graph below, where the wavelength is on the X axis, and you have the relative chromophore absorption in the Y axis. If so, you will be a well-armed laser surgeon. Just like a neurologist looking at an EEG and a cardiologist looking at an EKG, this should be second nature to you. How can we exploit laser physics? An example of this is a scar. When we have a scar, there is usually some feature that makes it different from the surrounding skin. You can take a laser and exploit that, whether its redness or pigment in the scar. This is the temperature equation that basically tells us how hot targets get…the temperature elevation of any target is proportional to the relative absorption of that target for that wavelength of light times the energy div over by a constant. This is very simple concept as its basically energy balanced. Where is the equation?? As you go to longer pulses, the selectivity of the heating becomes poorer but the violent nature of it becomes less. Dr Ross states that we are still woefully poor at targeting fat, whether it’s radiofrequency or laser. There are a couple of wavelengths that can be useful for exploiting fat; 1210nm and 1720nm. Those are the wavelengths where fat absorption is in excess of water absorption. However, the ratio of absorption from fat to water is only 1.2 or 1.1 to 1. When we treat a vascular lesion, our absorption rate for the blood is more like 100 to one vs water. So relatively speaking, fat shows poor selectivity, but if you deliver heating and cooling right, there is some selectivity for fat absorption. With regards to cooling and heating, we always want to preserve the epidermis and a dynamic cooling device can do so. It is also important to know the photochemistry with regards to chemical reactions and pay attention to these reactions; an example of this can be seen with patients who have previously been on Gold. Microwave and radiofrequency devices are becoming increasingly commonplace within our armamentarium. They rely on heating water, the resistance of water molecules turning causes heat. The microwave device is around 6GHz. Problems like underarm sweat can be treated with systems like MiraDry. Basically what happens is that the microwaves come down and there is a discontinuity of the dermal-fat junction and it heats up the sweat glands about 4mm below the skin. 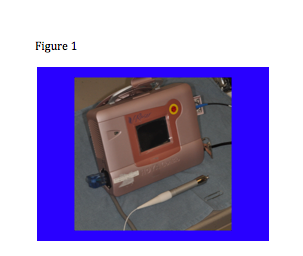 MiraDry offers another application in clinical practice and can complement other procedures. It also has little downtime. We are going to begin to see more and more radiofrequency (RF) reactions. It is important to understand SAR, i.e., the specific absorption rate at which energy is absorbed when exposed to an RF electric field. By delivering the right time and the right temperature, one can establish very nice reliable heating of the skin.